I’ve just read How to Read Literature Like a Professor and I’m pleased enough with it that I’m figuring out how to implement it into my classes. In essence, it’s all the stuff English majors should know by the end of their sophomore year of college—how to read a text to find patterns like journeys and season, what might meaneth the rainbow, or why, to be fully literate, one must know some Bible, some Greek myth, some Shakespeare. In other words, great stuff for the demographic I teach. The final chapter contains Katherine Mansfield’s lovely short story “The Garden Party” along with analysis from college students, followed by some from the professor himself. I read the story while walking to school and did not spend much time analyzing it myself before reading others’ responses to the story. I had noticed some patterns etc and figured I had a pretty solid grasp on the story. Then it was pointed out to me that it is a Garden of Eden story and I immediately felt hugely embarrassed. As an Eden junkie, how did I miss this? Reading while walking is no excuse. It’s in that spirit of contrition that I will now discuss Sorensen’s tale (read online).My first sin is that, instead of the story, I was thinking about the introduction’s revelation that this story premiered in The New Yorker (but in 1955—not 1953). And so I have images of Mr Thurber and Ms Jackson and Mr White and Ms Parker and all my favorite old-timey New Yorker writers and here comes one more reminiscent story of rural Utah. And, I don’t know if you’ve heard my whine about this before, but I’m kind of tired of reminiscent stories of rural Utah. Anyway. As that parenthetical suggests, the story is about a murder committed over an irrigation squabble. The narrator is someone who lives far away and for whom her erstwhile community is now far away in more than just physical distance. She is no longer surrounded my hard-working men with white beards and Scandinavian accents (who are now mostly dead anyway); she seems, in fact, to have no connection left other than the clippings her mother sends her from Mormon newspapers. She finds it somewhat difficult to dive back into the past, having to repeat the phrase “the Tolsen trouble” a few times before she can finally relay the story. Then, at the end of the story, she reveals that, out of her family’s respect for the man involved, she had never before told this tale. The story bookends, in other words, within a code of silence. The story is well written but I did not particularly enjoy it. As a specimen of its type, it is good. But I did not read it like a professor. I don’t doubt that it’s craft is even better than I realized, trying, as I was, to get through yet another reminiscent rural-Utah story instead of taking more seriously my first reading of an important Mormon author. Of this I am, of course, suitably ashamed. Though not enough to reread yet another reminiscent rural-Utah story to see what I’ve missed. I trust you will forgive me. I go forward with the intention to engage more deeply! Join me! Two things about this story really stood out to me. One was that Brother Tolsen turns himself in to his bishop, instead of the police, which I think says a lot about the culture of the time. As you might guess, I have Danish ancestors, but reading this part of the story was the first time I felt a real connection to their specific sacrifice and journey, so I actually found this story very meaningful. And on a more technical note, this work is described as an essay in the Mormon Literature Database ( http://mormonlit.lib.byu.edu/lit_work.php?w_id=4369 ) and it was also collected in the essay collection “Where Nothing is Long Ago: Memories of a Mormon Childhood.” So, do we know how much of this story is based on fact? do we know how much of this story is based on fact? I also really love Virginia Sorensen’s writing. This isn’t my favorite story by her–I think “First Love” from the collection is my personal favorite. I have seen this collection cataloged as both fiction and nonfiction–my understanding is that they are semi-autobiographical stories. I have no idea how much is factually true and how much is not…I just got out my copy of the book and glanced through the intro by Susan Howe. She notes that Eugene England felt that they were personal essays and that Sorensen should be called the “founding mother of Mormon personal essays”. But Howe contends that Sorensen was primarily a fiction writer and that the stories do not attempt accuracy in corresponding to real places and events, and that Sorensen herself considered them stories, not essays. They were mostly written in the 1950s and 1960s before the personal essay as we know it really came about, so I think it is impossible to judge them by our modern standards of ‘personal essay’. I am also somewhat tired of rural Utah narratives, but for some reason I am OK with Sorensen doing them. I think because the rural Utah of the early 1900s she invokes is so specific and because she does it so well. She writes as an outsider trying to understand a culture (she grew up in small Mormon towns but her father was apparently not a member), and as an adult trying to reconcile what she thought as a child with what she now knows as an adult. I love the detail in this story about her childlike exclamation of “I hope he got a new shovel!” It seems like something I would have thought as a child. I also don’t think I really understood the lives of the early pioneers (and I still don’t fully) until as an adult I learned more about their stories and I travelled the world more. I didn’t understand the significance of water in the west until I spent some time on the east coast where you don’t have to water stuff–it just grows. Also reading about my great-great-great-grandfather who was a tailor in Stockholm, Sweden before emigrating to UT. I’m trying to imagine his bewilderment as he was assigned to farm in Tooele–he’d never lived in the desert, never farmed, and was about 40 years old at the time. He didn’t live for very long after coming to the US, and I think I know why. Understanding as an adult the contrast between life in the eastern US or Scandinavia really deepens my understanding of the sacrifices made by the pioneers. I have seen this collection cataloged as both fiction and nonfiction”“my understanding is that they are semi-autobiographical stories. I can work with that. And I should clarify that I’m not really concerned about whether or not the stories are true–I’m just curious to know what we know about them, since I’ve seen them presented in seemingly conflicting ways. I didn’t understand the significance of water in the west until I spent some time on the east coast where you don’t have to water stuff”“it just grows. I do agree that these stories do (or should) play an important role in our understanding of the pioneers. Conference talks are too often exercises in hagiography. We need human forebears. Otherwise we see these people talking about how they can never be as good as those who came before. And how is that a Mormon idea? Sorensen’s story seems to me less about the killing of a mortal, and more about what man will do to maintain his link with God. If the story is explored this way, then suddenly it becomes a uniquely LDS story, heavy with the weight of our past–everything from Nephi and Laban to Mountain Meadows. I’m perfectly happy to cop to my biases. As a kid from rural Idaho who feels, like any immigrant, a bit like I’m always running from my past, reading about that past always feels somewhat oppressive. When another Cozzens story appears in Irreantum I shake my fist, not because he isn’t a great writer (he is), but because really? Another one? Can’t I read about something that isn’t part of a culture too close for comfort yet too far away to be familiar? Rural Mormon stories always throw me into this unsettling zone of feeling like I am alien to myself. Katya, if you are interested in literature about the Danish immigrants that came to Sanpete Valley, Sorensen has several novels to offer. Many of them are out of print, so you may need to search. On This Star (1946), about a tragic rivalry between half-brothers of a polygamous Sanpete family, 2nd and 3rd generation Scandinavians. The Evening and Morning. (1949, republished by Signature in 1999). 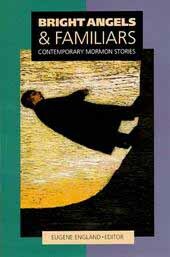 Eugene England called it one of the best Mormon novels. Based on her rebellious grandmother and father, set in the 1940s. Kingdom Come (1960). About the first generation of Danish Mormon immigrants. Also see this article by William Mulder about Kingdom Come and the Danish stories. Edward Geary. The Proper Edge of the Sky. 1996, p. 116-120. (I can see the relevant parts on Google Book, but will quote a few parts in case you can’t). This is part of a larger discussion Geary has about the place of water in rural Utah. “In a community dependent on irrigation, the watermaster, as Sorensen has said, was “an official of great importance.” By the same token, the water thief–the individual who put his own needs above those of his neighbors–was a threat to the entire social fabric. The title story of Where Nothing is Long Ago tells of the killing of a water thief and the killer’s vindication by the community. The victim is doubly marginal–not only a water thief but one who has “fallen away from the faith.” [Geary tells the story, including the bloody rabbit ears left on the courthouse lawn.] But of course the bloody years _do_ have something to do with the killing. Sorensen is using a naive narrator to make key thematic points obliquely. The annual, competitive rabbit drives, like the killing of the water thief, reflect the ineradicable violence at the root of society. The narrator as child does not comprehend all of this, but the narrator as adult, looking back, is able to place the events in a larger context. [Geary quotes the story again] But even as a child, the narrator had held herself somewhat apart from the community’s way of looking at things. This had gained her, in her family, a reputation of being “morbid”. And it enables her to pose the question that brings the story to its conclusion. [Geary quotes the final two paragraphs]. Thank you for the recommendations, Andrew. Eugene England was influenced by (earlier versions) of Geary’s takes on Sorensen and Whipple. In several essays he builds on Geary’s ideas about violence in rural Mormon communities. Here is one version of his take, from “Born Square: On Being Mormon”. “Sorensen’s autobiographical title story powerfully reveals some flaws in Mormon culture but does not belittle that culture nor its people–and it uses a complex first-person point of view to show the author learning ethical maturity and how to draw us subtly into that same process. where all the history, including the initial struggle to survive and create a civilization, is recent. So I just got a copy of Bright Angels and Familiars at the Provo DI last Friday before driving back to Wisconsin (a great source for inexpensively priced Mormon literature, by the way), and have resolved to join in the collecting reading/discussion! Personally, I rather like rural Utah stories — at least the ones that are affectionate and humorous rather than dark and grim, and that also aren’t too over-the-top. Like Lisa, as a city/small town boy from western Oregon, rural Utah is “the other” to me. At the same time, I recognize that the story’s humor is based on a subtle exaggeration (to make a point). The central value of water in a Utah town thoroughly overturns what the (Eastern) readers would take to be normative morality in a way that no one even questions. Or almost no one. What prevents this story from being a satire, I think, is that Tolsen turns himself in. The community may justify him, but he doesn’t seem much inclined to justify himself. The story would, I think, be rather monstrous otherwise. That’s a good point. Would you go so far as to say that makes him a hero? Don’t know (about Tolsen as a hero). Actually, I don’t think so. We don’t see enough of him to view him as a hero. No evidence of change or internal development over the course of the story. I imagine he would like to pay more restitution than his community demands of him.